At least two separate operations were conducted in Daghestan, also leading to the deaths of several men who have been described as militant commanders. The NAK said that 30 people were arrested and 20 voluntarily surrendered to authorities in Daghestan. It added that 219 “wanted” people had been taken into custody. The security operation has already resulted in the seizure of some 30 improvised explosive devices, more than 100 kilograms of material used for making explosives, more than 100 weapons, and some 530 mines, rockets, and grenades as well as a large amount of ammunition. The NAK did not provide any time frame for the security operation. News of the security sweep comes just days after Russian President Vladimir Putin applauded security and law enforcement agencies for reportedly eliminating more than 300 militants in recent months but also called on those agencies to increase their efforts to wipe out remaining groups of militants and outlaws in the North Caucasus. Violence has been increasing in Russia’s North Caucasus in recent years. 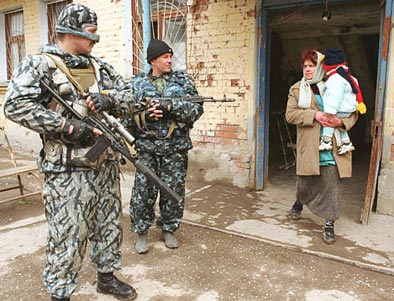 While Chechnya, long associated with Islamic militants, has seen a drop in incidents under Kremlin-picked strongman Ramzan Kadyrov, neighboring republics such as Kabardino-Balkaria, Daghestan, and Ingushetia have experienced an increase in violence, which has included assassinations of officials and attacks on military convoys. This article was originally published by RFE/RL. The North Caucasus: Russia’s Internal Abroad?